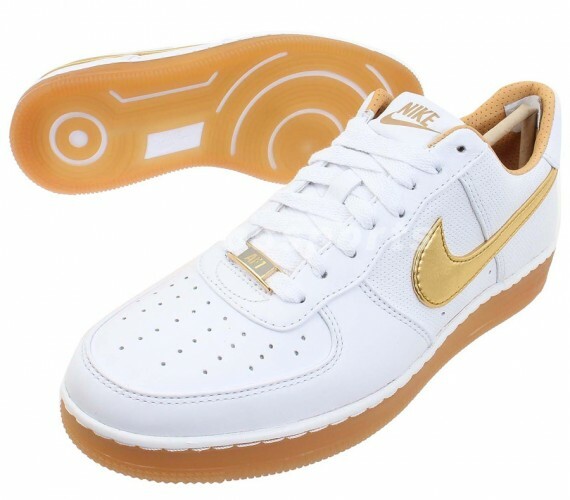 We continue today's news with a look at another Air Force 1 Downtown featuring a combination of metallic gold and gum rubber setting them off. 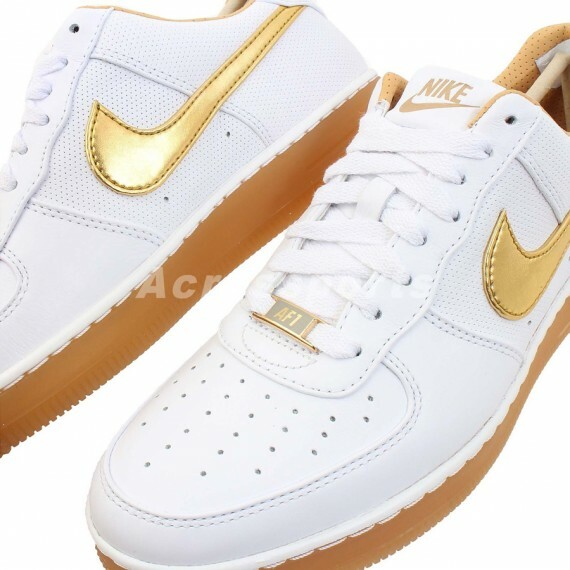 The new look Air Force 1 Downtown by Nike Sportswear arrives with a combination of premium smooth leather and perforated leather building them, along with metallic gold Swoosh logos, lasered Nike branding and gold lace dubrets. 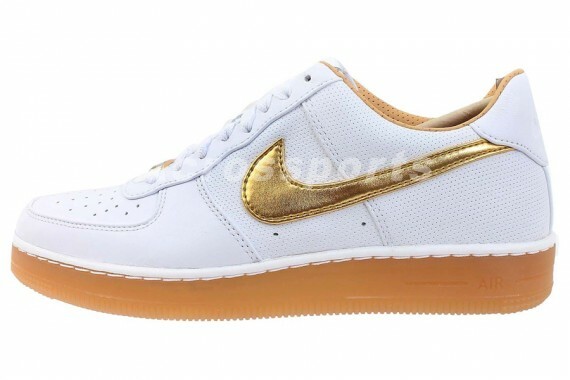 The classy look is finished off with a full gum rubber Air Force 1 low down below. 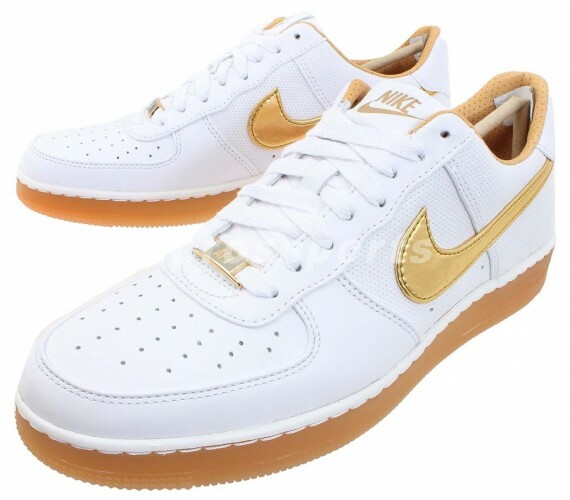 The White/Gold-Gum Nike Air Force 1 Downtown PRM is now available online via select retailers such as id4Shoes.